Whoa, what a day right? I am really following this news and its outcome. This afternoon I think it’s almost reaching its road to ending. I am shocked how fast the COMELEC filed a case against CGMA and how fast the RTC issued a warrant of arrest. Indeed another history has been written today, another president has sentenced to death I mean to jail. Well, we all know that CGMA is really guilty as to her famous “I am sorry” why would you say sorry if you didn't do anything wrong? And her, being arrested is what she deserves and I commend the PH’s judicial system for that fast, almost-a-day-case and action for the election sabotaging president. "events that happen in our country will sooner later affect the citizen, so we really have to talk, speak our mind out, act and change." How fast? They can make it fast like a day for a person to be arrested? Why other BIG AND REALLY ALSO SERIOUS CASES LIKE MAGUINDANAO MASSACRE has no result until now? If they can make a case fast to be decided, then why not do it in other cases? I have questions and I really wanna hear your voice about it. What do you think about the arrest of CGMA? The famous misunderstanding between the EXECUTIVE and JUDICIAL Dept.? If they can make it fast to decide in a case why not to other ones? If CGMA is abroad now, for instance, do you think she’ll come back to face her arrest? Note: I heard that CGMA and her team, that day that they are supposed to leave to Singapore, they can use another way to enter NAIA, they chose to go to departure area and mix with the media. The government was not fast, its CGMA who was too slow on going out of the country. She must learn from ramona bautista and ping lacson. She should have ask their respective suggestions. Sana nga applicable yan sa lahat ng cases dito sa Pilipinas hindi lng sa case ni CGMA. i think, hindi ung pagiging mabilis ang problema. yung timing. hindi nman tlaga mabilis e kasi matagal na tong kaso na to. nagmuka tuloy silang namemersonal, although the decision is just nman. lesson here, what goes around, comes around. Yeah, I agree with you. The Aquino Administration is very fast in dealing with the Arroyos. How about the Maguindanao Massacre? When will De Lima fast track those cases. When will the COMELEC fast track the electoral protests in the previous election? It seems like the Aquino Admin is just doing their best to persecute the Arroyos because they are reason why Aquino became the president in the first place. 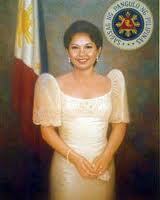 If Arroyo is gone then all the corruption, all the weaknesses of the current regime will be focused on by the public. Ginagamit lang nila si Gloria para itago yung pagiging inutil ng rehimeng Aquino. abay. ewan ko ba jan sa politics. kaya nga hindi ako interesado makinig kasi nakakainis! hhaha!~ tama noh. may point ka. bakit agad agad nilang na bigyang desisyon ang pag alis ni aroyo samantalang yung massacre wala. tsssssssssssssssssk!